Co-Presidents: Dr Sandrine Corbaz-Kurth Eur.Erg. and Dr Sven Hoffman Eur.Erg. IEA council member: Dr Maggie Graf Eur.Erg. Treasurer: Dr Samuel Schluep Eur.Erg. The Swiss Ergonomics Association, in short SwissErgo, is the umbrella organization for all ergonomists and people involved in ergonomics in Switzerland. SwissErgo is a member of the Swiss Federation of Societies for Safety and Health at Work (Suissepro). 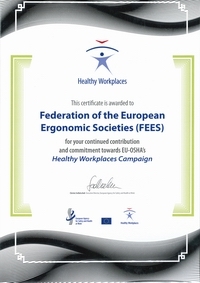 Internationally SwissErgo is active as a member of the International Ergonomics Association (IEA), the Centre for Registration of European Ergonomists (CREE) as well as the Federation of European Ergonomics Societies (FEES). SwissErgo's goal is to promote ergonomics in academic studies and in professional practice. SwissErgo was officially founded in spring 1999 with 26 founding members and has today more than 150 members. The association is “young” considering that in the second half of the last century Swiss ergonomists produced significant scientific contributions in the field and were at the forefront of the international development of ergonomics, with contributions from the Institute for Occupational Medicine and Ergonomics at the University of Geneva (Paule Rey, 1969-1994) and the Institute for Hygiene and Applied Physiology at the ETH Zurich (Etienne Grandjean 1950-1983 and Helmut Krueger 1983-2004). SwissErgo developed out of an ergonomics interest group founded by Maggie Graf (ergonomist at the Federal Department of Industry, Trade and Labour). The main aim at that time was to more formally represent the field of ergonomics to government authorities responsible for safety at work. Additionally it encourages experience exchange and promotes the education of ergonomics and ergonomists. SwissErgo organizes experience exchange seminars and one-day conferences on current themes, mostly on an annual basis. 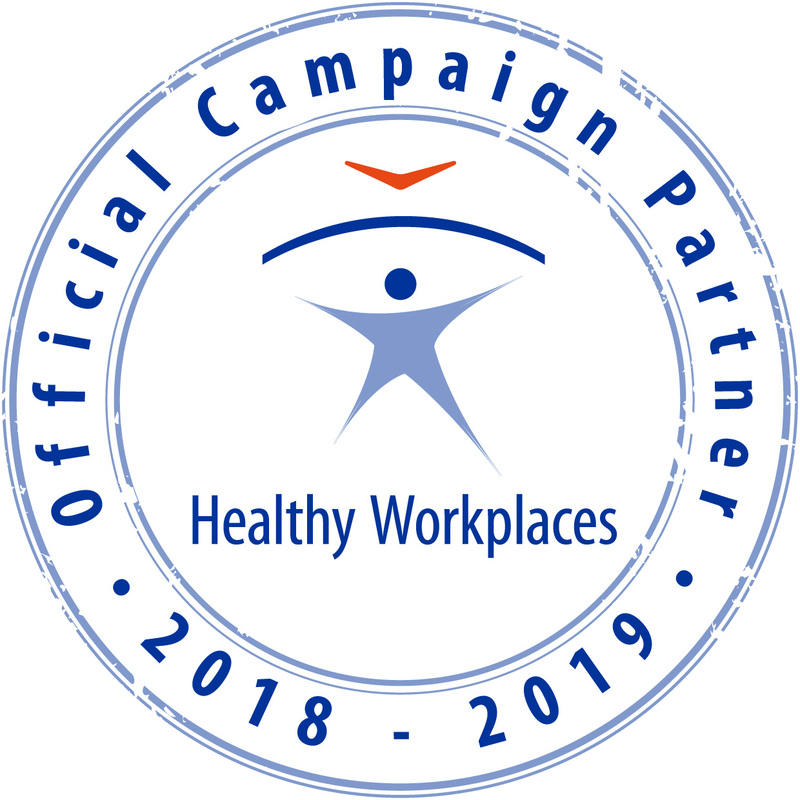 Members of SwissErgo are active in all geographic and linguistic regions of Switzerland and members are active in the major areas of ergonomics, although there is a heavy concentration on physical ergonomics and work in occupational health. As an active member of CREE, SwissErgo also offers certification as a European Ergonomist (Eur.Erg.) to suitably qualified members. After an initial rapid growth in membership to over 100 people, the development has slowed down. The closure of the ETH Institute for Hygiene and Applied Physiology and the dropping of the ergonomics stream in the Master of Work and Health course have reduced the number of people getting educated in the field at high level. On the other hand, there are growing numbers of courses at tertiary level, which train people in ergonomics, although it is not their major field of work. The recognition of ergonomics as an important part of occupational health and safety is still not legally anchored, but in practice more and more people are active as consultants in this area and SwissErgo is well-recognised as a discussion partner by the Swiss authorities. It can be seen that interest in the field of ergonomics is growing. However, our society is faced with new and different needs in terms of the availability of training programs in ergonomics. Ergonomics has become more diverse, colorful and dynamic. It is the scientific discipline concerned with work, health and efficiency. Significant changes in the work environment are taking place today and these provide researchers and practitioners with new challenges. Traditional topics such as lighting, noise and handling of loads remain important, but new topics such as the effects of information technology on work and new interface products are still relatively unexplored. The world of work, the needs of society and the individual are subject to constant change. Ergonomics methods and standards (e.g. for work analysis and design) need to be frequently updated and improved as our knowledge grows. SwissErgo aims to contribute to this development by encouraging education and continual professional development.